A good time to go for it? 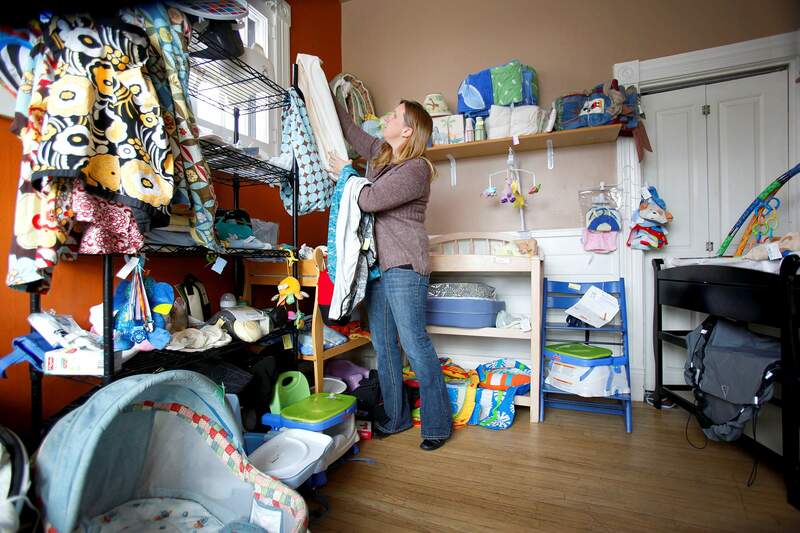 I just felt like it was the right time to do it, Amy Mantineo said of her recent opening of WeeCycle Durango a children and maternity consignment store. WeeCycle Durango opened in late November at 473 E. College Ave.
Jimmy Nguyen had never owned a business before starting his sushi and rice bowl restaurant Rice Monkeys with fellow cook Dung Tran. 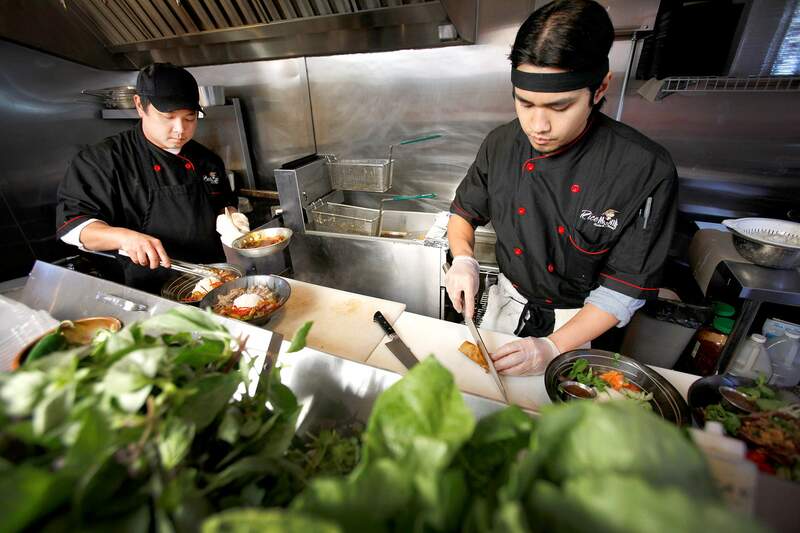 Though Nguyen said confidence is a key component of starting a business, the process of starting and running his pint-sized restaurant on Main Avenue still makes the experienced sushi chef a bit nervous. Its a big gamble, he said while sitting in the restaurant, which opened in November. While starting a business always takes a fair amount of blind faith, business development officials agreed that for small-business startups, the potential is looking up. Im seeing a pent-up demand for new businesses, said Jay Davis, owner of Davis Advisory Services, a business consulting firm. Businesses looking to start in the county have the advantage of being located in a place that wasnt as hard hit by the recession as others in Southwest Colorado. Durangos tax numbers dipped slightly in 2009 but have been on the rise since, and unemployment numbers were well below the surrounding counties. In 2011, La Plata Countys unemployment rate was 6.8 percent, while rates in San Juan, Archuleta, Montezuma and Dolores counties ranged from 8.5 to 11.4 percent. Student enrollment at Fort Lewis College has increased, which sends positive ripples into the local economy. Enrollment this year was up 4 percent over 2009, when enrollment hit a decade-long low of 3,685 students. Durango also is buoyed by a number of large employers in the area  more than many other towns its size, said Joe Keck, director of the Southwest Colorado Small Business Development Center. The hundreds of people working for Mercy Regional Medical Center, the Southern Ute Indian Tribes Growth Fund or Mercury provide a steady demand for services that sustain support industries year-round. Because those businesses are regional or national in scope, they also infuse the local economy with outside dollars, Keck said. While friends, family and personal savings continue to be go-to sources of funding for startups, there are some hopeful signs that other sources of money are becoming more available. The lending environment has loosened since the height of the recession, Keck said. Going forward, banks are making loans but are doing so more cautiously and are tending toward loans that are backed by guarantees from the Small Business Administration, the U.S. Department of Agriculture or the local Region 9 Economic Development District, said Kent Curtis, president and CEO of First Southwest Bank. As the economy improves, Curtis said banks are working to reverse hesitancy toward lending that many bank employees, including his, have developed since the recession. Were trying to turn around a mentality, he said. Other banks seem to be doing a similar turnaround. Region 9 Economic Development District, which provides various types of financing to small businesses, has received an increasing number of requests for guarantees on bank loans, said Cassie Alexander, business development specialist with the organization. And in October, community banks approved more small-business loans than they rejected for the first time since the recession, according to the Biz2Credit Small Business Lending Index. Instead of shying away from new businesses, banks including First Southwest are starting to see startups as a crucial component to their lending practices, Curtis said. He recognizes that technology today allows entrepreneurs to turn an idea into a profitable business faster than ever before. New crowdfunding platforms such as Kickstarter and Indiegogo also hold promise for new businesses, Keck and Davis said. The crowdfunding mechanism allows businesses to solicit money from a large pool of small investors without going through an initial public offering. Venture capital is another promising option for startups, Davis said. Investors are no longer on the sidelines, he said. The area currently lacks the type of angel investing or venture-capital group that could help provide startup funds to entrepreneurs, but a group of local economic development organizations is working to create one, Keck said. Real estate prices in the county have decreased in recent years, according to data from the Durango Area Association of Realtors, though association President Denise Storm cautioned against drawing trends from such a small pool of data. The median price for commercial properties in La Plata County dropped 6 percent, from $400,000 in 2010 to $375,000 in 2011. Prices have dropped 37 percent from a peak of $596,000 in 2007. It also continues to be difficult to find a commercial loan, Storm said. While some business owners said the search for commercial space was a breeze, others said it took them awhile to find an affordable space. 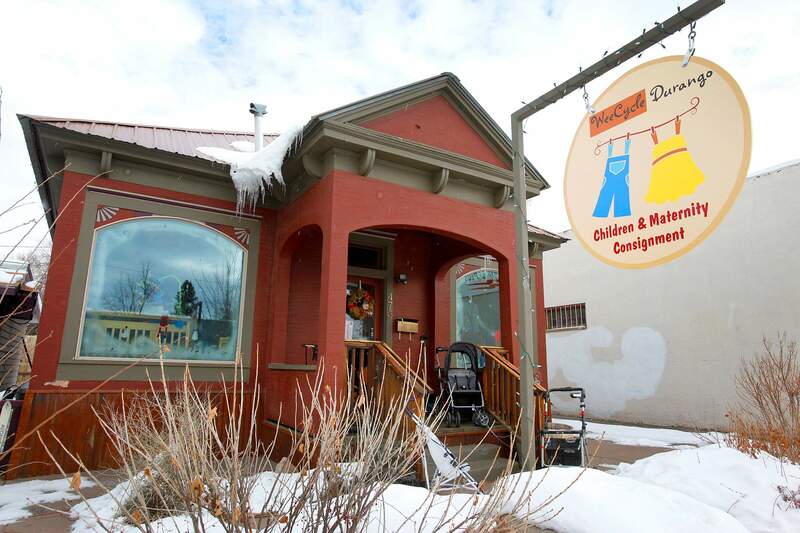 Amy Mantineo said the building she found for her childrens consignment store, WeeCycle Durango, costs more than she wanted to pay. She opened her business in late November. Keck said many business owners have to deal with higher rents to locate here, in large part because of the towns resort flavor. As a general rule, businesses that pay more than 6 or 7 percent of their gross profits toward rent will see negative affects on their profit, said an assessor the Small Business Development Center uses. But in Durango, some companies pay 15 to 17 percent of their gross profits toward rent. Thats a lot right off the top, so it does create some challenges, Keck said. Durangos resort flavor also is one reason why the city has higher design and building standards compared with other small rural towns. Greg Hoch, the citys planning director, said Durango has many landscape, historical and design standards that dont exist in many communities of similar size, which can make it more difficult for business owners to build new. For a small town, Durango has many resources for startup businesses, including Region 9 Economic Development District, the Small Business Development Center, the local chambers of commerce and the La Plata Economic Development Alliance as well as entrepreneur-friendly spaces such as the co-working facility DurangoSpace and groups such as Durango Tech Club. But business owners said a deep pool of data and resources cant compare with the value of listening to their gut feeling.